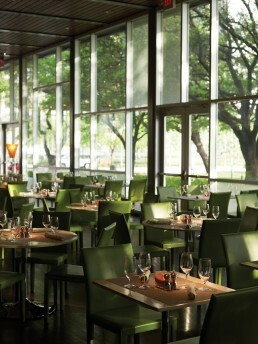 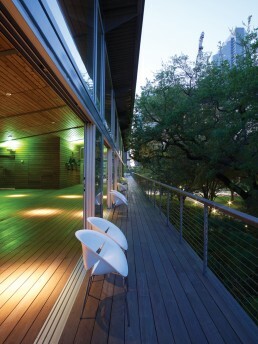 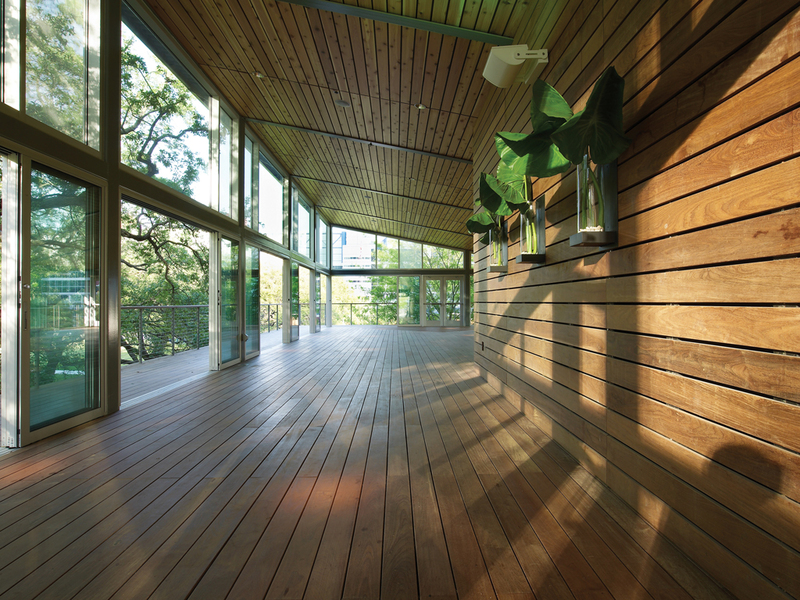 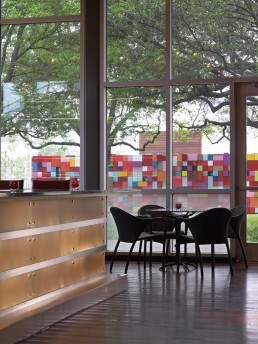 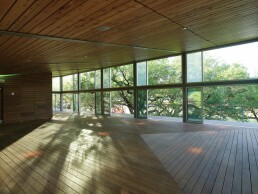 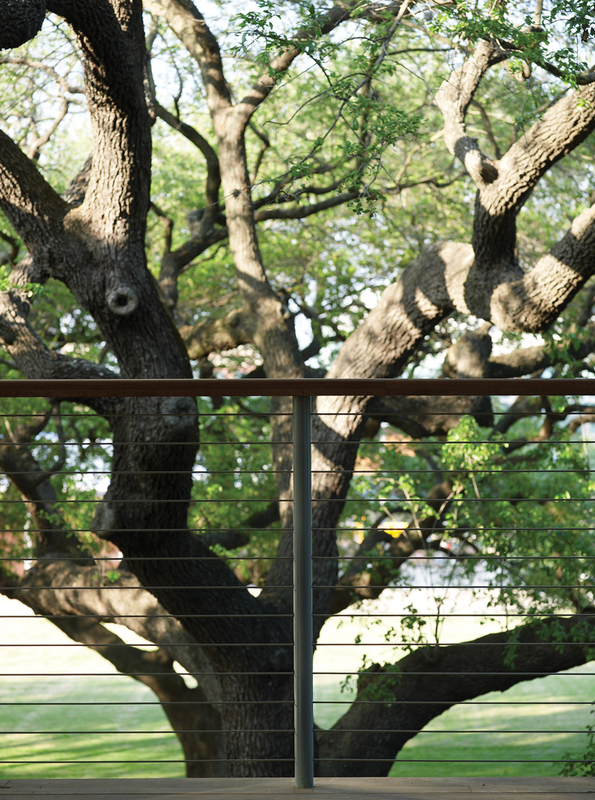 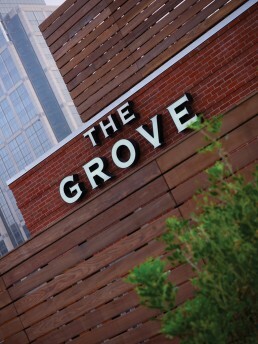 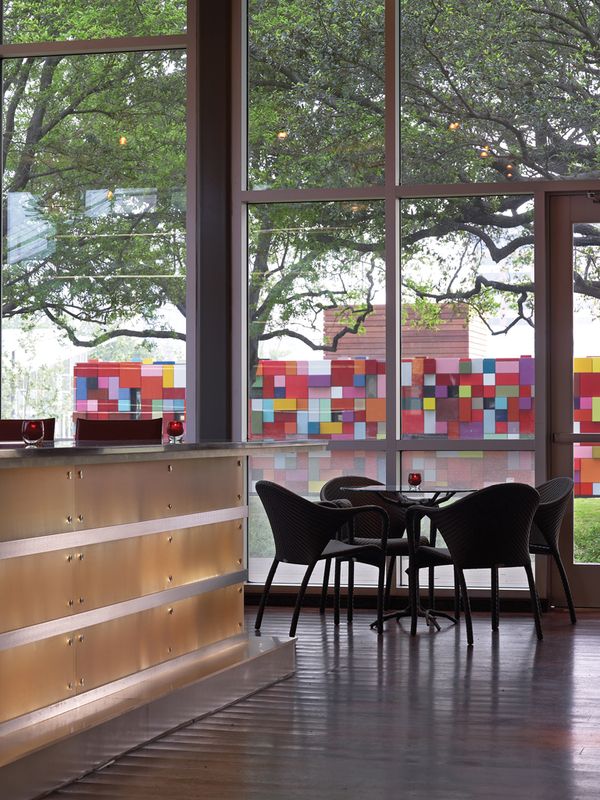 The Grove is set prominently within Discovery Green park, Houston’s new 12-acre urban oasis. 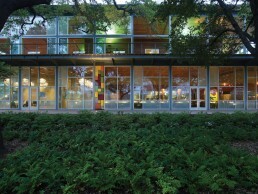 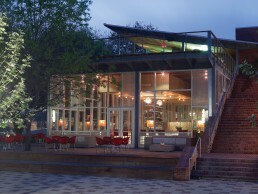 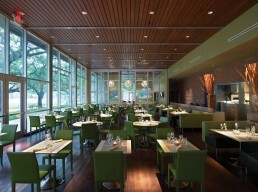 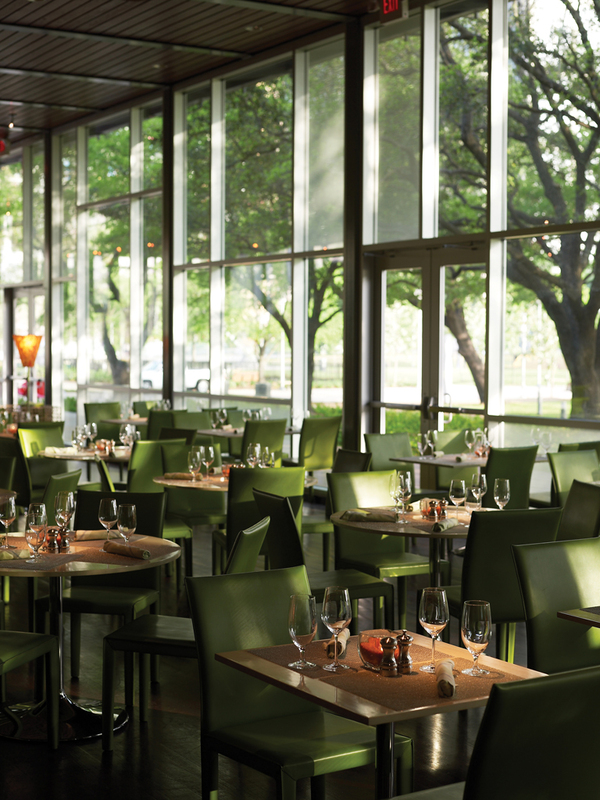 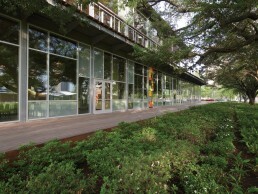 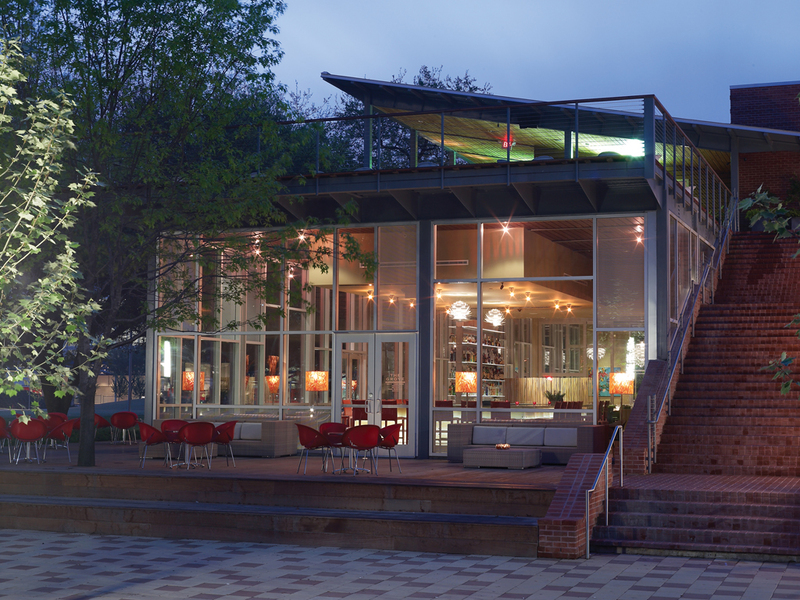 The restaurant architecture takes inspiration from a magnificent, double row of live oak trees that have long inhabited the site. 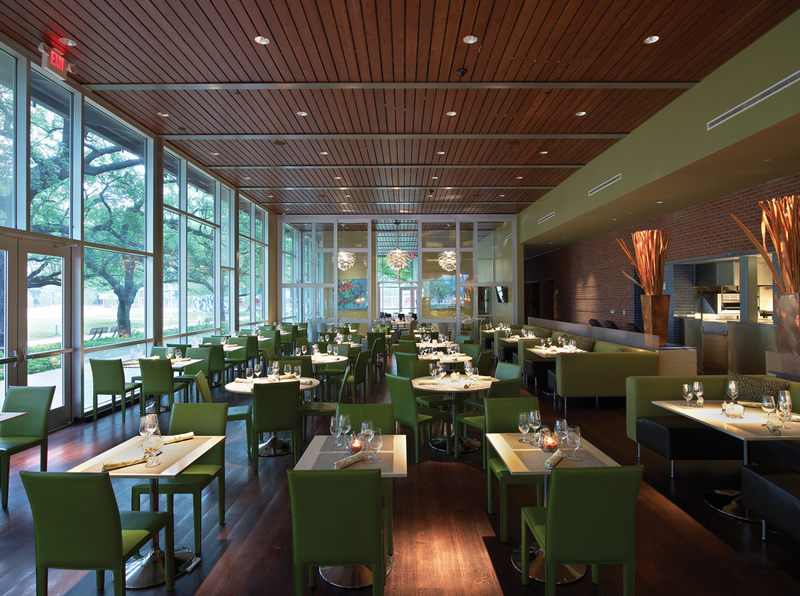 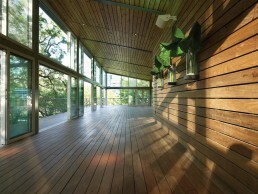 Indoor and outdoor dining spaces are strung long and thin, just to the south of the oak alley. 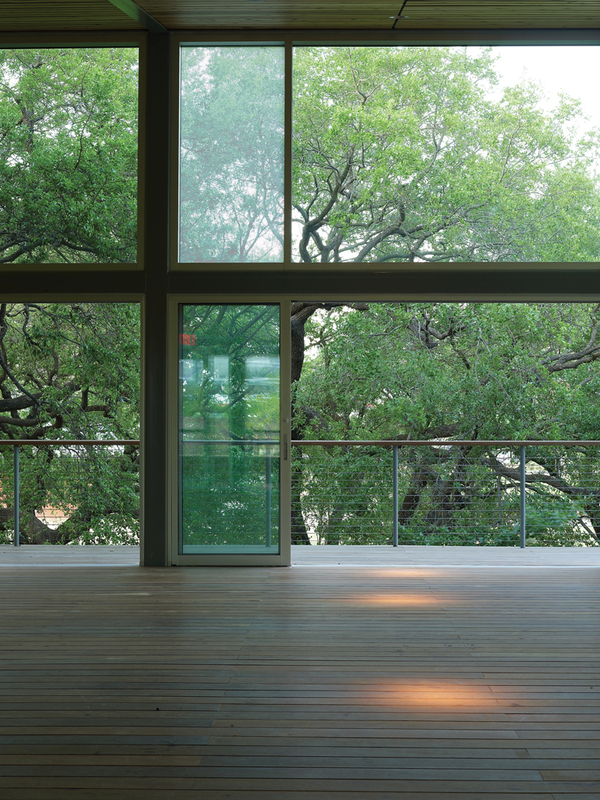 Each room has a slightly different vista into the tree canopy, through huge expanses of glass that also admit soft north light. 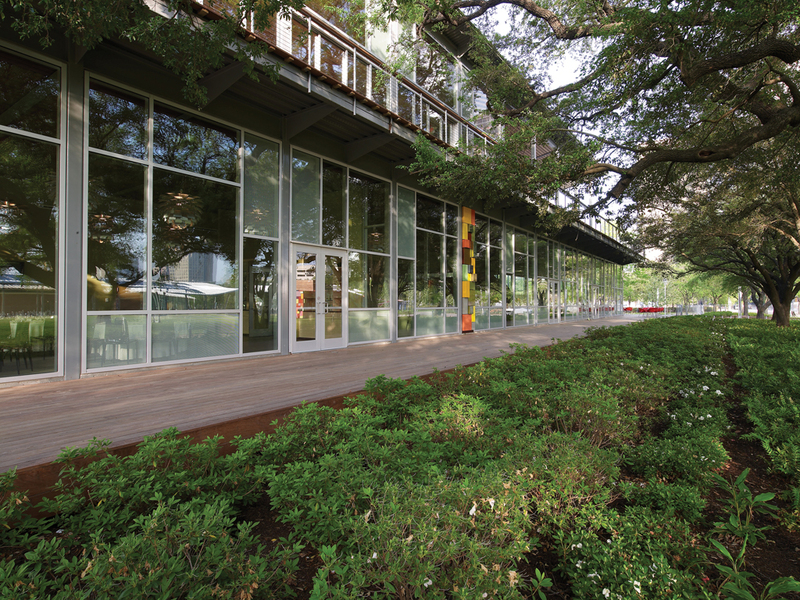 Broken into a series of smaller parts defined by function, the building complements the natural surroundings with its scale, texture, and material palette. 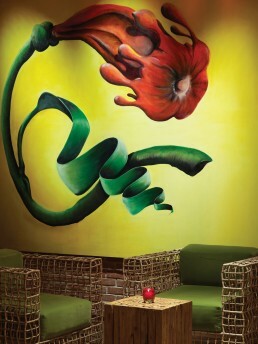 An intensely colorful, commissioned artwork by Austin artist Margo Sawyer provides the one burst of color. The Grove is certified LEED Gold for its innovative, sustainable design, together with the park and all of its architecture.